In her second post about her trip to LILAC, Amy Rippon, writes about her experiences at the conference. Hello again! 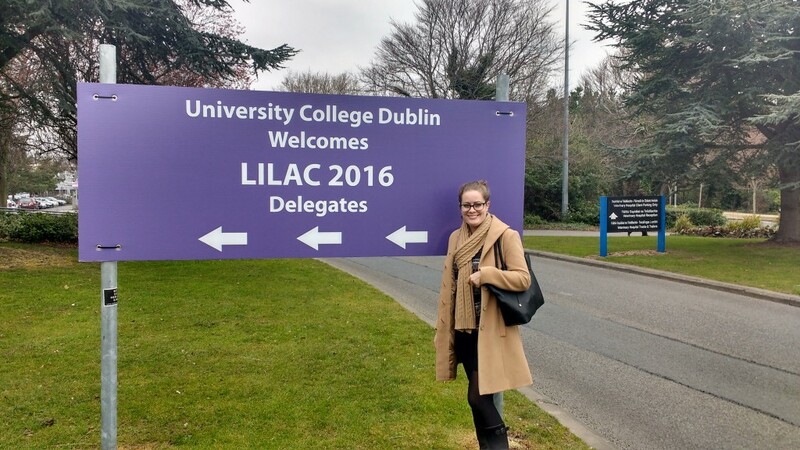 As you know I attended LILAC (Librarian’s Information Literacy Annual Conference) 21st-23rd March and it was AMAZING! The conference was held at University College Dublin which is based at a large campus just outside of Dublin city centre. The 3 days were incredibly varied and it was so difficult to decide which sessions to go to as all of them sounded so interesting. I’ll try to give a brief overview of my time at the conference. I arrived in Dublin on Sunday morning so that I had some time to explore the city, as the conference days were going to be very full on. Dublin was a beautiful city with plenty to see. I started by looking round Trinity College and then Dublin Castle, and then had a walk along the river and around the Temple Bar area. Then it was back to my hotel! The conference began on Monday morning with registration at 10am (with the addition of ‘goody bags’ from the sponsors!) and then it was straight into the first session! The first parallel session that I went to was lead by a group of librarians from the University of Oregon. This session focused on how students can help to lead library information sessions through interactive games and was incredibly interesting – particularly the ways that they managed to incorporate familiarisation of both online resources and the physical library space. For example by asking students to find a location within the library and then to tweet a selfie of them there to the Librarian running the session. The Librarians encouraged friendly competition amongst teams of students which helped to drive the session. The first keynote of the conference was by Nicola Whitton and Alex Moseley and explored how play can support learning and development. This emphasised using play as a safe space for students to learn and develop ideas whilst offering the freedom to fail, which is often neglected in assignment focused learning. This was demonstrated through interactive examples of narrative play (cue lots of librarians frantically searching for treasure chest keys under their seats…) This talk was excellent and the speakers were very passionate. At the end of Day 1 there was a networking evening hosted at the Chester Beatty Library in Dublin City Centre. This was a great opportunity to speak to other conference delegates in a more informal setting and we were able to look around the exhibits at the Library. Day 2 began with a session by Margy MacMillan on Twitter and Information Literacy. I was particularly excited about this session as my dissertation is going to be on using social media to support student learning. Margy was an excellent speaker and very enthusiastic about the benefits of Twitter to librarians supporting students in an academic setting, such as using hashtags to communicate with students on specific courses. The second keynote was by Char Booth who is the Associate Dean of the Library at CSU San Marcos. This keynote was about the reflective process of learning and teaching and how this is such an important part of information literacy. A particularly useful idea raised during this session was to have an immediate but brief reflection at the end of a teaching session: what worked? What didn’t work? What should be followed up on? By answering these questions immediately after teaching we reduce the risk of forgetting how a teaching session actually went. Char Booth also highlighted the need to incorporate ideas of information privilege within information literacy teaching. The second evening was the conference dinner which was held at the amazing Royal Kilmainham Hospital. The dinner was great fun and the LILAC committee were brilliant hosts! The final day came around so quickly! The third keynote was from James Clay and was on building digital capability in libraries. James works at Jisc and the talk focused on how Jisc can support libraries to create a cohesive digital literacy framework. This framework aims to support people being able to live, work and thrive in a digital environment and, most importantly, identify where there may be gaps in knowledge which need to be bridged. LILAC was an unbelievable experience and I was overwhelmed by the fun and friendliness of the conference and hope to be back very soon!! I’ve only managed to cover a very limited amount of the conference so if you would like to hear anything more about it or have any questions then just give me a shout! Amy Rippon is on Twitter @RipponAmy. 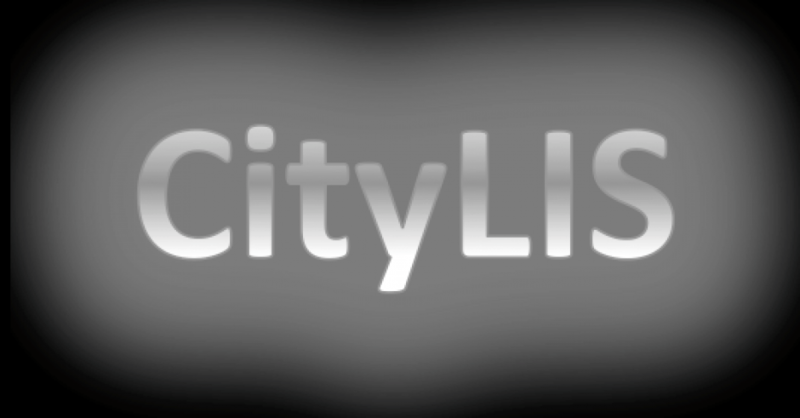 This entry was posted in Student Perspectives and tagged CityLIS, conferences, information literacy, Information Science, Library and Information Science, Library Science, Lilac, LIS. Bookmark the permalink.